Fellowship, Leadership, Scholarship, and Service. These are the Four Pillars of Kappa Sigma, a set of values that every member advocates and strives to incorporate into his life. In everything that we do here in the Gamma-Delta chapter, we make sure to uphold these pillars by focusing our efforts on strengthening our brotherhood, maintaining scholastic excellence, serving as leaders in the community, and selflessly serving others through volunteering and philanthropy. Read below to find out more about how we uphold the Four Pillars. If you like what you see, be sure to attend our rush events and meet some of the brothers! The strength of our brotherhood is a critical part of our fraternity, and at Gamma Delta we are always creating fun and exciting events for our brothers because we like to spend as much time with each other as possible. 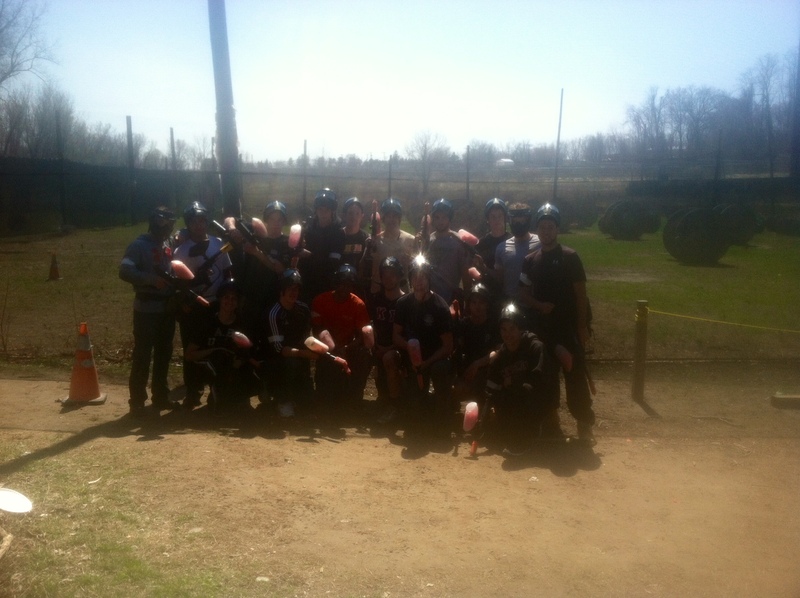 From pickup games, to BBQ’s at the house, to brotherhood events like indoor cart racing, paintball, and Jerry Springer; there’s always something to do with the Kappa Sigma brothers. 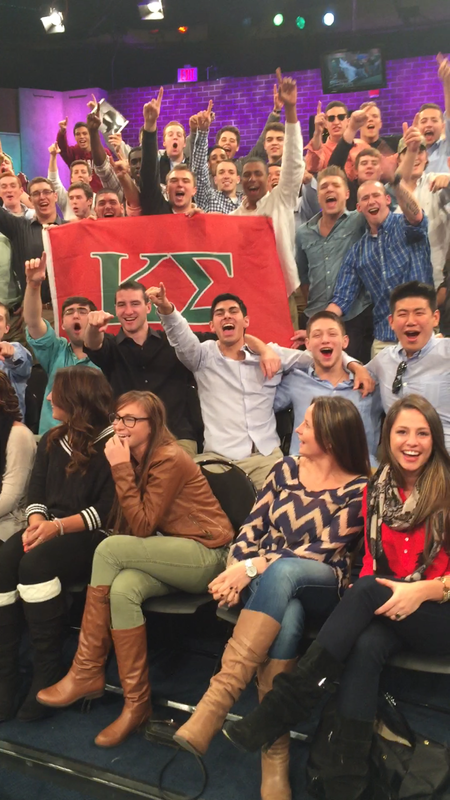 The brothers take over Jerry Springer – Round 2! And if you are ever bored there are over 85 brothers to call to simply hang out, go to the gym with, study with, or watch the big game with. 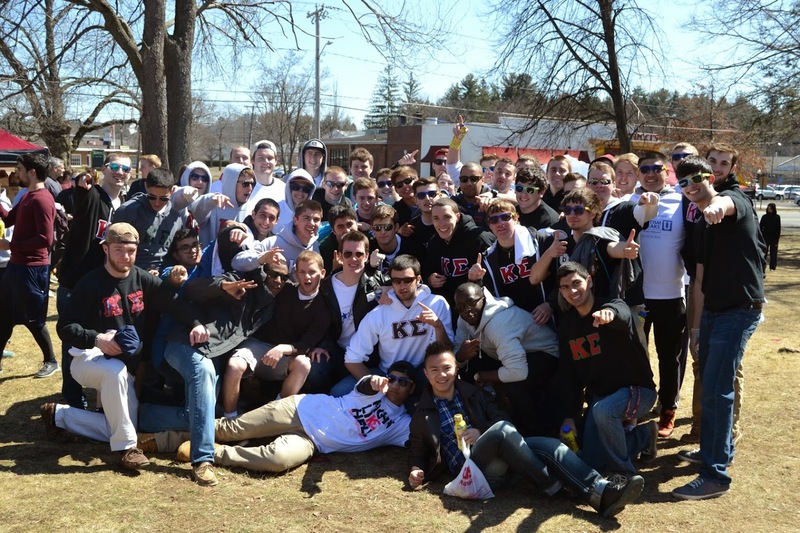 And with multiple sorority socials, date functions, and parties to attend – you will always have something to do as a Kappa Sigma. 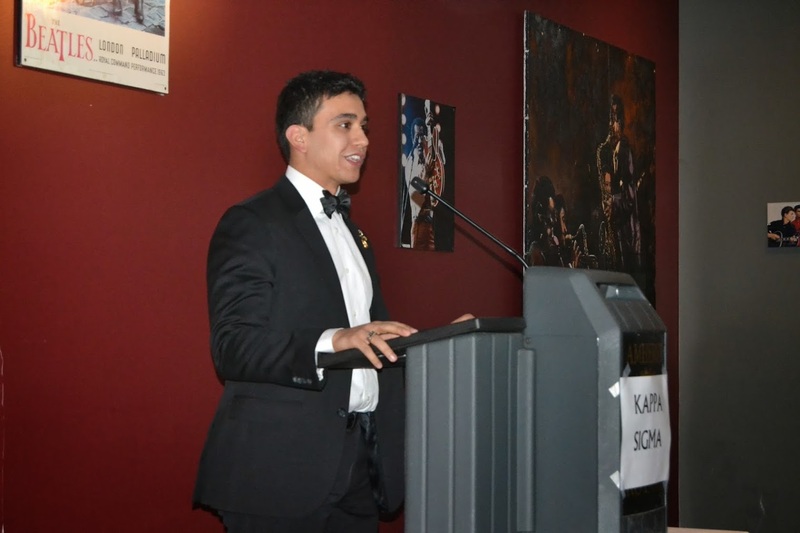 At Kappa Sigma we hold scholarship as our most important pillar, providing our brothers with all the resources and advantages to succeed at UMass and prepare for life after college. During no part of our rush process nor any other point of membership will we make unnecessary requirements that interfere with school. On the contrary, we hold study sessions for brothers and have an archive of academic resources such as notes and tests to help brothers succeed in their classes. But we do not solely define scholarship as coursework or GPA’s. 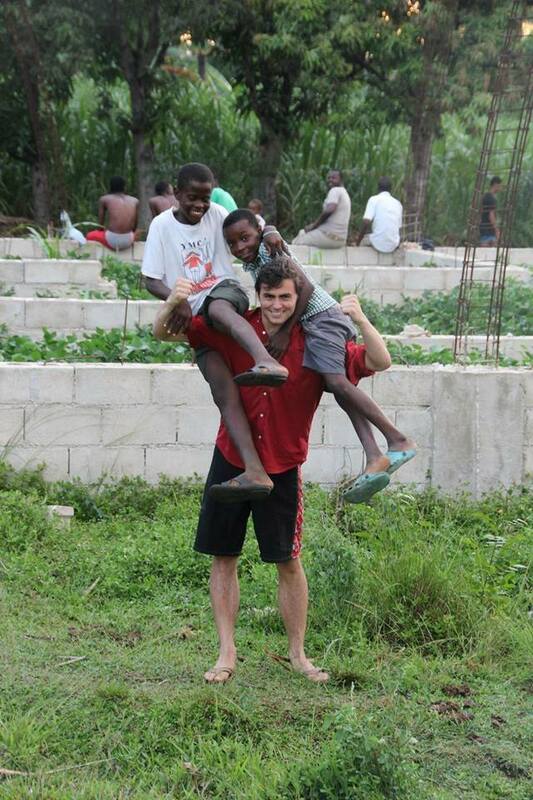 At Kappa Sigma we look to enrich the lives of our brothers both inside and outside the classroom. We have many brothers who serve as TA’s, take part in on-campus research, participate in various internships, play on club or varsity sports teams, serve on the Interfraternity Council, and even hold leadership positions in a multitude of on campus organizations. Our networking skills and passion for fostering scholastic growth among each of our brothers are what make Kappa Sigma’s the most successful men on campus. 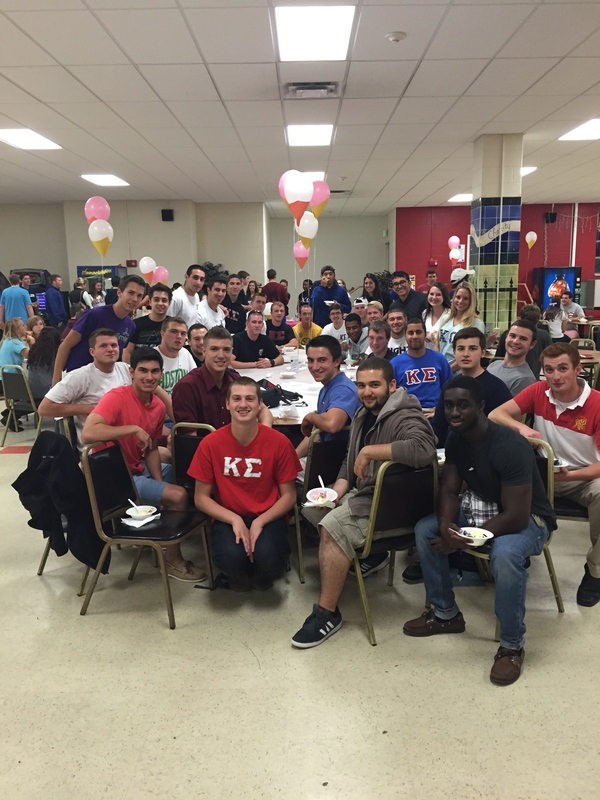 Kappa Sigma men are involved all across campus both inside and outside the fraternity. 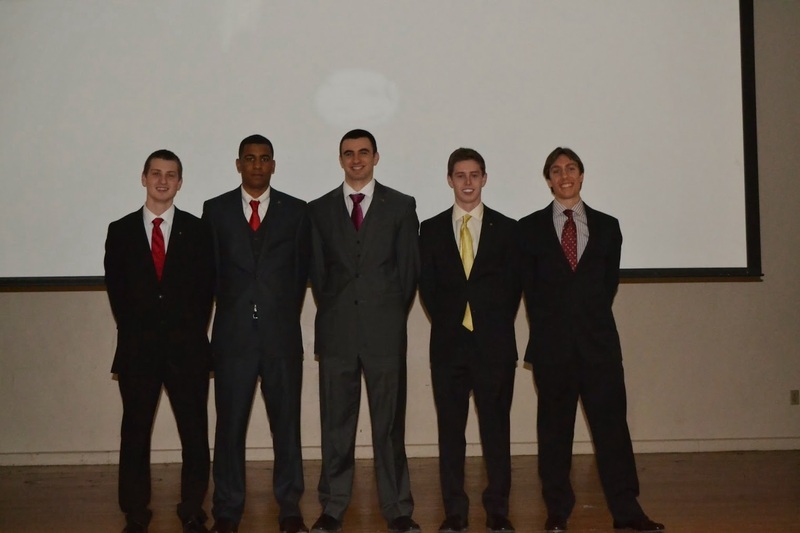 Within the fraternity we have an Executive Committee composed of a President, two Vice Presidents, Treasurer, and Secretary. In addition we have 16 different chair positions that oversee all different aspects of the fraternity; from risk management, to philanthropy, to fundraising, to social and brotherhood chairs – it’s impossible to not get involved! And each chair has a committee to aid them so any new member can jump in right away if they are interested in getting involved in a certain position. Like we mentioned earlier, our brothers are also heavily involved in the campus community as well with organizations and events such as UDance, Autism Speaks, the Interfraternity Council, Student Government, Athletic Association, Wounded Warriors project, and many more. So whether we are leaders in campus organizations, striving to improve our fraternity, or dominating campus athletics, Kappa Sigma’s lead by example in everything that we do. At Kappa Sigma we are committed to serving both the campus and local community on a regular basis through our continuous participation in service projects and philanthropy. In the past two semesters our fraternity has contributed over 60,000 hours of community service to both the campus and Amherst community. We have done everything from street cleanups, to providing food and clothing to the homeless, to volunteering at a local church and veterans hospital. This past April the Kappa Sigma brothers co-hosted Autism Speaks and raised over $52,000 in total toward the Autism Speaks campaign while donating over 1000 hours of community service to benefit that cause. Although it was our first year hosting, Kappa Sigma was the #1 fundraising fraternity during this years Autism Speaks! During the school year two of our brothers, Matt Rakoski and Will Purdue, contributed over 3,000 hours of community service through their efforts as volunteer firefighters. This past May, a group of our brothers funded their own trip to Haiti to help a poverty-stricken village become a self-sufficient community. They raised $6,000 and donated 400 hours of service toward their cause. In Haiti they volunteered by serving in a nearby hospital and helping the townspeople establish their own small businesses. 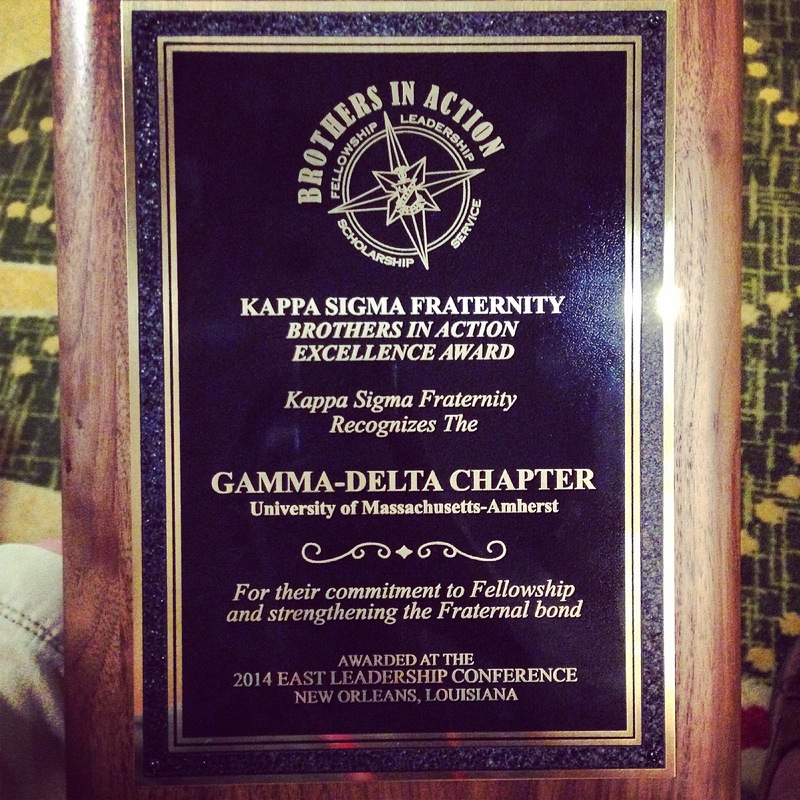 At Kappa Sigma we are humbled to be so fortunate and we truly strive to give back to the community in any way we can.